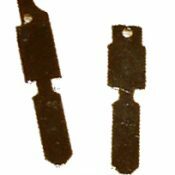 A key for Peugeot or Talbot cars manufactured between 1955 and 1995 cut to number or photo. Models Include: 104, 106, 204, 205, 304, 305, 306, 309, 404, 405, 504, 505, 604. 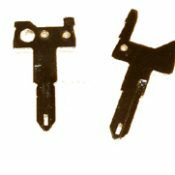 A key blade for genuine Peugeot key remotes, cut to the locks on your car. Models Include: 106 all models, 206 all models, 306 all models. 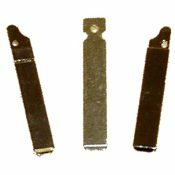 A key blade for genuine Peugeot key remotes, cut to the locks on your car or van. Models Include: 207 2006 on, 307 2001 – 2008, 806 all models, 807 all models, Bipper all models. Models Include: 406 1995 – 2004, 607 2004 – 2008. 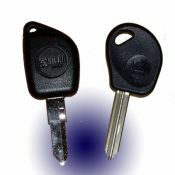 A car key for Peugeot cars cut to number or photo. This key will open the doors and turn the ignition, but it will not start the engine without a transponder chip. Models include: 106 1997-2004, 206 1998-2008, 207 2006 on, 306 1993-2002, 307 2001-2008, 308 2007 on, 406 1995-2004, 607 2004-2008, 806 1998-2002, 807 all models, 4007 2007 on, Bipper 2009 on, Boxer 1996-2008, Partner 1998-2008, Ranch 1998-2002. 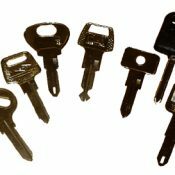 A car key for Peugeot cars cut to number or photo. This includes the transponder chip, which will need to be programmed to your car in order to disarm the immobiliser and start the engine. Models include: 106 1997-2000, 306 all models, 406 1995-1999, Boxer 1996-2001, Partner 1998-2001, Ranch 1998-2001.